Dozens of peaks to choose from and perfect conditions make Mentaway the world’s largest wave playground, and present a challenge to any surfer. Part of Indonesia, a nation made up of over 18,000 islands, Mentawai is a small tropical archipelago, almost untouched by man, composed of four main islands: Siberut, Sipura, Pagai Utara and Pagai Selatan, each of which has over 10 separate peaks. Located 100 km off the Western coast of Sumatra, Mentawai Archipelago is renowned as one of the best surfing spots in the world due to the consistency and quality of its waves. It boasts over 300 km of surfable coastline, with year-round swells, little wind and warm crystal clear water where you can find the most perfect left or right handers in the world. This is the perfect spot for surfers who love hollow tubes, and the vertical faces present a challenge to even the best surfers when it comes to the drop. All in all, a true paradise for those who really love surfing. The weather is hot and humid (temperatures ranging between 28ºC and 32ºC over the year) and is characterised by two main seasons: The rainy season, between December and March and the dry season between June and September. Despite this, being so close to the equator, there are also regular light showers. The swell which comes off the South Indian Ocean is constant year-round, but the most consistent season is between March and November. The wind blows offshore and the water temperature is about 27ºC. Located on the South side of the Sipora Island, known as Playground, this spot neighbours Bang-Bang, E-Bay, Nipussi, Pitstops and 4Bobs. This is a multi-section right hander reef break. One section has a barrel so intense, fast and treacherous that only the most experienced and fearless surfers dare attempt it. One of Mentawai’s most perilous right handers, it offers rides up to 150 meters but is not very exposed to crowds. It works well in all tides but is at its best with Southeast and Southerly swells, with North and Northeasterly winds. The best waves kick in at about 4 to 5 feet, but the spot can handle up to about 15 feet, so you have to look out for the bigger sets which sometimes sweep the peak. On the small Island of Nyang Nyang, part of the world famous Playground. Crowds shouldn’t be much of a problem at this left hander reef break. Intermediate level surfers can handle this wave, although it can also be considered a high performance spot due to the maneuverable faces. This is one of the easiest and safest waves in the region, and also the most fun, being consistent and offering rides between 50 and 150 meters. It works in all tides and handles 3 to 6 foot waves. Handles large swell, especially West, Southwest and Southerly, ideally with South, Southeast or Easterly winds. A good choice when E-Bay gets too big. Right in the heart of Playground, next to Bankvaults, Bang Bang and others. A perfect left when the swell gets bigger. Jack McCoy called it “Paradise Point”. This is a favourite wave for photographers and features in plenty of surfing films, as its waves provide epic moments. A reef break with a hollow barrel which can get hairy over 6 feet. At high tide the wave loses force and can be more fun. Works perfectly with a Westerly swell and is quite consistente. Some crowd, but not too much. On the Indonesian Playground, near Bankvaults, E-Bay and others. A right-hander reef break which works with all sorts of swell and is the most consistent peak in this region of the Mentawai. When the wind blows offshore the wave develops perfect tubes, even when the swell is small. All this, however, makes for a very crowded peak. On the Playground, beside E-Bay. A fun, right hander with a verticle drop, excellent for practicing air maneuvers, especially in the final section, as well as tailslides and others. Also works with smaller swells, making it one of the most consistent spots in the region. A short ride divided between sand and coral shore. Some crowd. On Karamajet Island, just offshore of the Kandui Villas resort. Considered one of the fastest left handers in the world, this reef break sometimes requires a tow-in to be rideable. This is a wave which requires a lot of experience as well as peak physical shape. The return to the peak demands a good paddling capacity and you’ll also need resistance to withstand the wipeouts. It is a consistent wave, so the surfers are almost as numerous as the sea urchins. On Karangniki, a small Island to the south of Siberut Island. Only accessible by 25 minute boat ride. A reef break right hander which stands out for its consistency, especially in the low season. During the high season it usually gets too big. This is a powerful wave, providing 150 meter long rides on its best days, and is also one of the most fun breaks in the region. It works pretty well under all types of conditions. It is located outside of Playground, but worth a visit if not only because of the striking wild landscapes in the background. North of Sipora, only accessible by boat. Known also as Scopes, this spot is considered one of the most perfect left hander barrels in the world. It works with large swell, which gets retained after a few hours at low tide, making for moments of pure adrenaline. Watch out because the wave is actually bigger than it seems, and is also very fast. On its best days, provides rides up to 300 meters long. Off the southwest coast of North Pagai Island, only accessible by boat. One of the best and most famous left hander reef breaks in the region, this spot has seen an increase in crowd over the years, especially due to the constant presence of boats. Has been compared to a skate park because of the fun it offers surfers. A consistent wave with a fast and powerful barrel. At its best it can provide rides of up to 300 meters. Opposite HT’s, and works as a mirror image of its sister spot. Lance Knight’s other discovery presents itself as a very consistent wave, one of the region’s best. A left hander reef break with a hollow, fast and powerful barrel, only accessible to the most experienced surfers. Rides can reach up to 150 meters and it handles swell up and above 12 feet. Mid-level tide is ideal and it works best with Southest, East or Northeasterly swell, with Northeast, West or Westerly wind. The sea urchins make up for the lack of crowd. 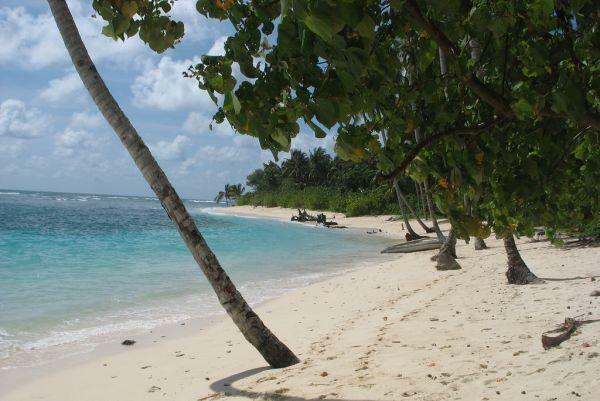 On the West coast of Sipora Island. Pioneered by Australian surfer Lance Knight, this right hander reef break also goes by the name Lance’s Right and is home to a world class wave. A hollow barrel which works in just about any tide. Has some crowd and needs an Easterly or Northeasterly wind to work. One of the crown jewels of the Mentawai. Located in front of the famous Macas left hander, this is one of the most perfect waves on the planet, ideal for surfers of all levels of experience. 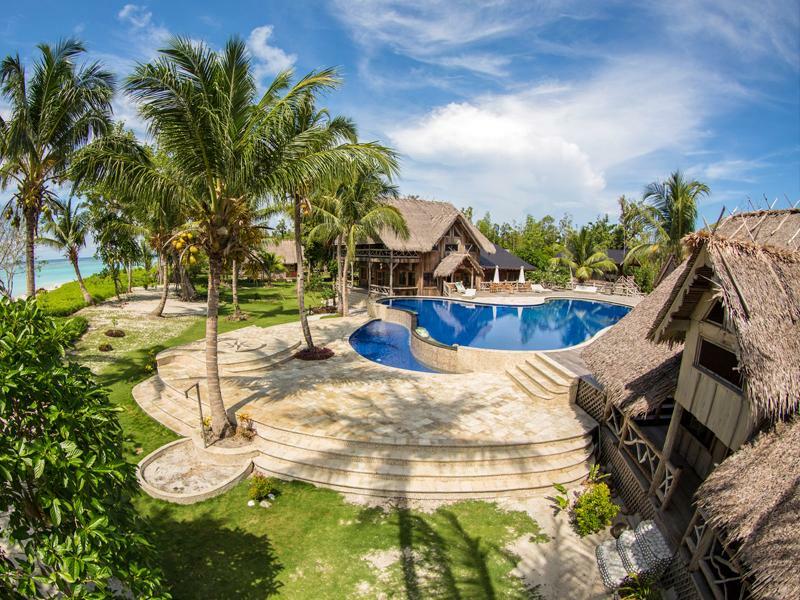 The Kandui Villas is a luxury eco-resort located on the island of Karangmajet, in front of the Kandui and the Baby Kandui left handers. 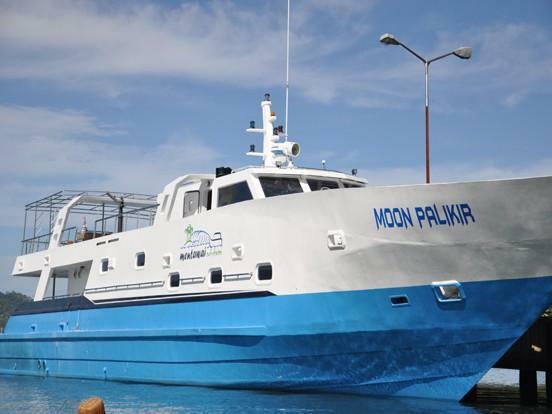 The Moon Palikir is a 35 meter long boat which was designed to give you all the comfort you need on a surf trip.